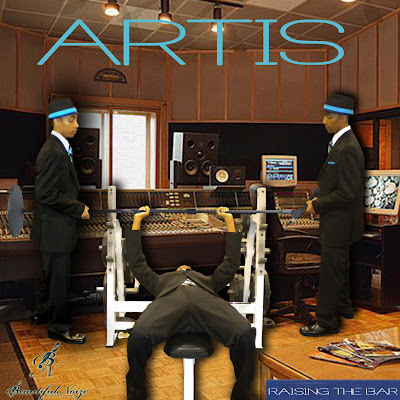 BEAUTIFUL NOIZE ENTERTAINMENT PRESENTS "ARTIS" & HIS FIRST OFFICIAL MIXTAPE "RAISING THE BAR" WHICH IS SET FOR THE NEW RELEASE DATE OF DECEMBER 29TH! 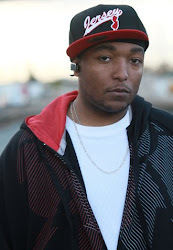 RAISING THE BAR THE MIXTAPE IMPORTANT ANNOUNCEMENTS! ANNOUNCEMENT AND I AM SAD TO SAY THAT I HAVE BEEN DRAKED AND LIL WAYNED LOL. 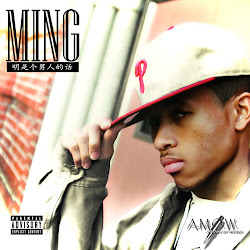 "RAISING THE BAR THE MIXTAPE" HAS BEEN PUSHED BACK EXACTLY 1 WEEK FROM TOMRW TO "DECEMBER 29TH, 2009" NEXT WEEK TUESDAY. I SINCERELY APOLOGIZE, THIS WAS NEWS I RECEIVED JUST NOW, HOWEVER ITS STILL COMING SO PLEASE WAIT THIS ONE OUT, THANKS SO MUCH FOR ALL THE SUPPORT, JAQUAN! 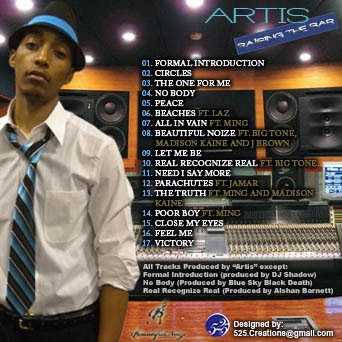 BNE PRESENTS "ARTIS" with his 1ST Mixtape "RAISING THE BAR" COMING DECEMBER 22ND, 2009! AVAILABLE FOR DOWNLOAD here PLEASE ENJOY HIS BEAUTIFUL NOIZE! Lyrical Murder!!! RTB DEC. 22nd!!! BNE!!! AlShan Barnett needs to report to all that can see this, that I just witnessed a murder... @Anthony Soil and @Jaquan Barnett just destroyed my track to the point where the team of Grey's Anatomy couldn't save it... R.I.P. to Nemesis, and welcome the new born, Real Recognize Real... Raising The Bar! Dec. 22nd! BNE!